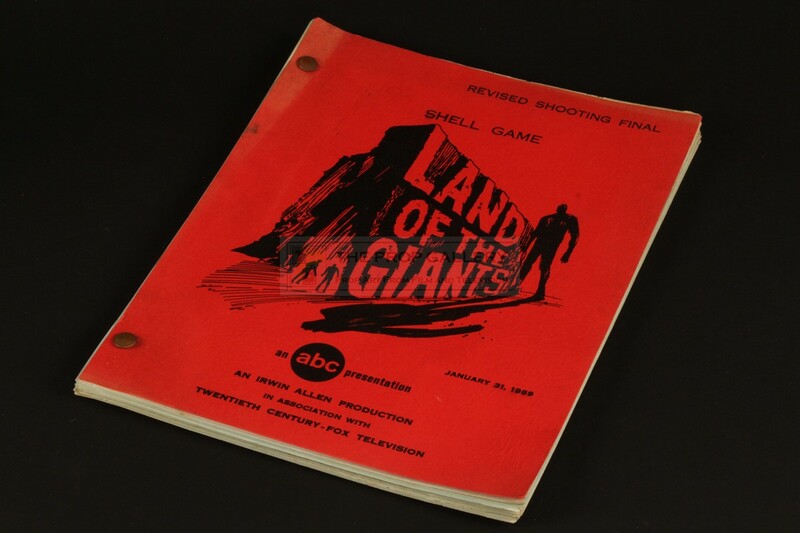 An original script used in the production of Land of the Giants, the classic 1960s American television series created by Irwin Allen. 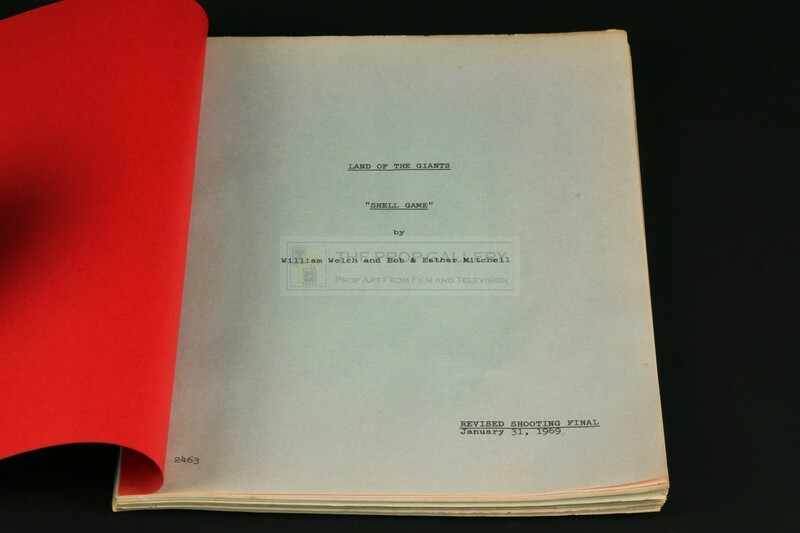 For the season 1 episode Shell Game this original revised final draft shooting script is dated January 31, 1969 and comprises of 75 pages bound between front and rear covers of of red card with the front featuring the famous series logo. 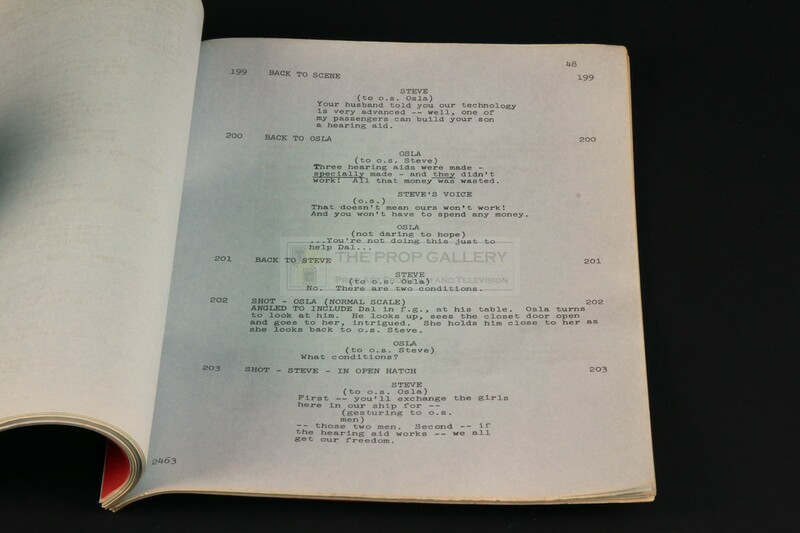 The script is printed on light blue paper and features a set list with a revised cast list on pink paper which is dated 2/6/69 and a further single pink revision page with the same date. 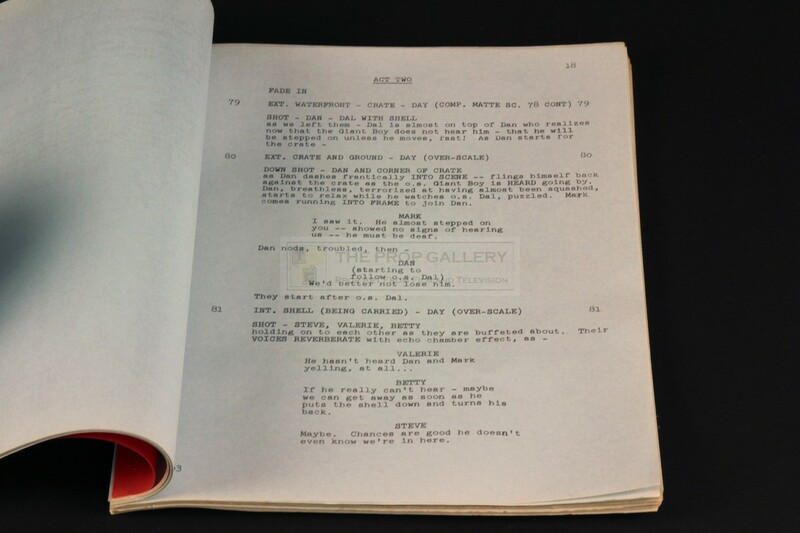 The script remains in excellent production used condition exhibiting only minor toning to the interior pages, generally fine. 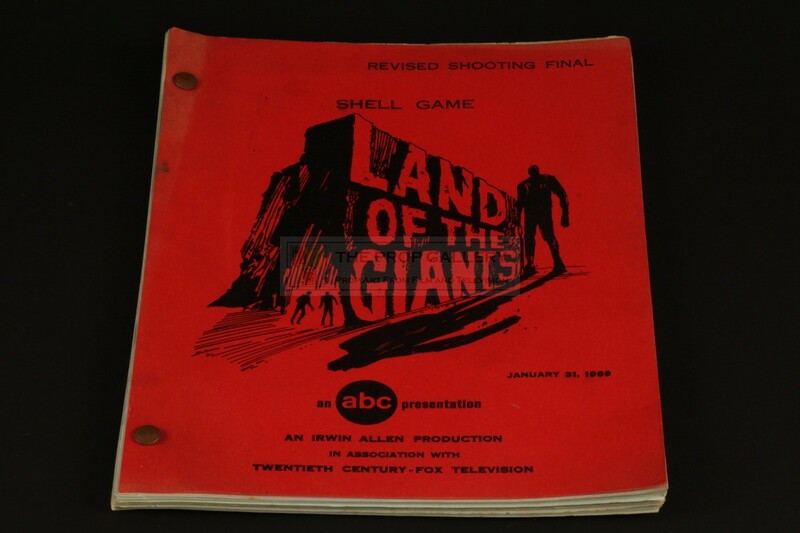 A fine example of original production material from this highly regarded Irwin Allen series.